Bestselling author Jim Ryan will discuss things such as: happiness comes before success, self awareness, the nature of thought, your happiness quotient, the placebo effect, gratitude is the place to start and visualization. With quotes, humor, anecdotes and song, this program will have you leaving excited about the possibilities of living a happy joy-filled life! As library workers, we need to be at our best every day. Each one is the face of the library as we interact with patrons. This program will offer practical strategies to do just that. Jim Ryan, Bestselling author of Simple Happiness: 52 Easy Ways to Lighten Up, has a BA in French from Iona College and an MS in Counseling from Queens College. He has also appeared on numerous radio and TV shows. Have you heard about the gaming phenomena known as Minecraft, but have no clue what it is? Learn the basics of Minecraft, including definitions, gameplay options and more! We will explain the different versions of Minecraft, share event ideas and convince you that Minecraft is a terrific tool for any library looking to increase services to kids and teens. Bring your questions or experiences to the discussion! Our four memory-themed programs address adults’ memory issues, from everyday forgetfulness to dementia, and help alleviate caregivers’ isolation and despair. Memory Fitness: weekly at the library. Ginny Pisciotta founded and runs this. Seniors challenge their brains through puzzles, games and other activities. It’s open to everyone, including those with dementia. We also have a circulating memory care collection with books, DVDs, CDs, puzzles and games for all ability levels. Memory Café: Monthly at a restaurant. Our partners, The LI Chapter of the Alzheimer’s Association, pay for the restaurant’s buffet, in a dining room provided free by the owner. Attendees dine, dance and sing along to our karaoke tunes and CDs. Last month we hosted over 50 people. Music and Memory: Our library offers therapeutic, lifetime-loaned iPods for patrons’ family members affected by dementia. The Alzheimer’s Association: provides 8-week, hour-long sessions in the library. People with early-stage Alzheimer’s partake in activities led by a recreational therapist, while their caregivers in an adjoining room attend a support group lead by the Association’s Program Director. In this session, Danny Tanzi and Pansy Cheng will discuss the unique opportunities for sustainable retrofits and expansions that not only address the experience of seniors and children; but updates the design approach to capture the millennial patrons. With each having more than 20 years of experience in designing and managing various public works projects, Mr. Tanzi and Ms. Cheng have focused on the public library market sector for the past 15 years. Michael Hynes will be discussing the challenges of Common Core and what librarians can do to help. He will also speak about effective partnerships libraries and schools can form to best assist both the teachers and the students in today’s learning environment. Ms. Murray will discuss how library staff can increase the quality of customer service to deaf patrons, share a few basic signs useful when communicating with deaf patrons, include tips on what to look for when acquiring an interpreter and talk about the library’s obligation to provide equal access to services as indicated by the ADA. How can your library use a limited budget to connect effectively with your community and build awareness for programs and resources? Guerrilla outreach will give you 10 simple ways to reach your community on a tight budget. Get smarter with outreach and you’ll build a great reputation for your library and enhance your community relations. Veterans and their families face difficult challenges during and after military service. Mr. Roger Leathers and Melanie Cardon Leathers will discuss how libraries can aide veterans in adjusting to civilian life. Even today, libraries are still implementing significant barriers for our users to overcome to access our resources. Over the last 18 months, the Westbury Library has identified areas in Children, Teen and Adult services where usage was unnecessarily restricted. Once we removed barriers to access, our usage exploded. Join us as we explain our philosophy and share exciting tales of what worked and what didn’t! Children’s author Rebecca Stead will talk about why honest emotion is arguably the most important thing we can write about, in any genre. Title: The Morning After: The budget passed – now what? Library Advocacy is more than just getting the budget passed. Join John Chrastka, founder and director of the nationwide library PAC EveryLibrary as he shares how to turn voters into constituents and donors throughout the year. The speakers will demonstrate how they have grown their partnership over the past 2 years to enhance students learning experience inside and outside of the classroom. Carisse and Alice will explain the steps they personally took to forge a path that led to learning well beyond the classroom walls. What started as 1 or 2 schools participating in librarian visits a year has transformed into all 5 elementary schools, Junior High and High Schools welcoming Public Librarians to promote Summer reading programs, as well as, online databases and electronic resources. The Public Librarians also visit all schools for PTA meetings, and have collaborated with the art teachers to display student’s art works in the public library. In addition, the public librarians have worked with special education teachers to make sure that the Public Library is offering programs and resources to benefit not only all members of its community but also those with disabilities and English as New Language Learners (formerly English as a Second Language). Recently, both groups collaborated to present online resources to parents at Parent University Night which was arranged by the school District. More future collaboration is planned. While it is not necessary for every public library to have a dedicated business center, they should all be prepared to help the local business community, new entrepreneurs, and job seekers. 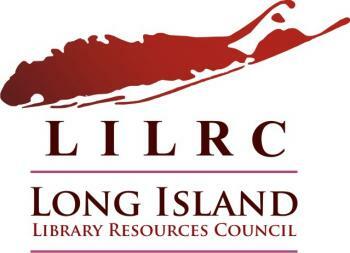 Join representatives from two Long Island business libraries to learn why it is important and how you can leverage these services at your library. Sponsoring Committee(s): NCLA Intellectual Freedom Committee, SCLA Intellectual Freedom Committee & Long Island Coalition Against Censorship. Title: The Librarian as Censor: Are You Out of Step with the Library Bill of Rights? Self-censorship by librarians, whether performed consciously or unintentionally, can impede intellectual freedom and seriously impact user groups. Come hear our panel discuss various aspects of this issue and respond to audience feedback. Learn how to work with the Library of Congress to preserve important veterans history. Attendees will learn how to organize veterans interviews and produce a DVD for each. Walk through the process of planning a moving reception to honor all the veterans, including opportunities for local teen volunteers who create patriotic blankets as gifts and recount their experiences listening to veteran stories. Throughout history libraries have been referred as community hubs and resource place for new immigrants, the unemployed, at-risk youth, and individuals seeking their high school equivalency diploma, at no cost. Collaborations between libraries and other community-based organizations are essential for the 21st century library to remain relevant and competitive in today’s Digital Age. Our workshop will provide attendees with examples and ideas on how to successfully partner with other entities to create a win-win collaboration with the constituent in mind. Many of the smartest and most passionate readers work in public libraries. Every day, staff across Long Island share the books they love with patrons. Now, they can reach beyond the library walls and local communities and tell the rest of the country about the books they can’t wait to share. Launched in fall 2013, LibraryReads harnesses the value of “library staff picks” into a single nation-wide discovery tool. Attendees will find out how LibraryReads enhances readers’ advisory services and provides staff with professional development and marketing opportunities. The nuts and bolts of obtaining ARC’s (advance reading copies) and the nomination process with be covered. Libraries of all types must take an active, visible role in building sustainable, resilient and regenerative communities. Our future depends on it. We will explore how to infuse the core value of sustainability into everything we do, taking a “whole systems approach” to leading our libraries into the future and building our base of support among those we serve along the way. The Fandom Outreach Committee works towards reaching out to the fan based community by going to the conventions they attend. There are many ways that your library can attract this diverse community through programming, book selection, and being in touch with their interests. We will talk about how the general public is participating more in various fandoms (Star Wars, Doctor Who, the Marvel Universe, DC Comics) and the fandom community is getting a lot wider and libraries have a great opportunity to bring in all ages of people, including New Adults who have been a challenge to connect with in the past. This workshop explores ways to rekindle memories and to rediscover family and community history worth passing on to future generations. Personal stories are invisible treasures more valuable than heirlooms held in the hand. Heather Forest, storyteller, educator, recording artist and author. She has published 18 award winning books and recordings. Ms. Forest holds a Master’s Degree in Storytelling and a Ph.D. in Leadership and Change. She is a recipient of the Circle of Excellence Award presented by the National Storytelling Network. Genealogy is one of the most popular hobbies in the United States. Learn how to use the resources available in your library to help patrons explore their family history. This workshop will cover the basics of genealogy research and how to effectively answer genealogy reference questions. We’ll also discuss ideas for programs that will bring interested parties to your library. As technology advances, it’s time for Reference services to have a new relationship with these developing cloud services, and incorporate them into daily duties. Join our presenters as they discuss opportunities to incorporate cloud technology into traditional reference workflow. Track statistics, store, share and collaborate on documents. Make presentations and take notes using a browser and plugins as well as OneNote or Evernote. Create digital signatures and graphics using web based sites, and experiment with tablets to converse in another language. This program will consist of two presentations focusing on librarian-led collaborations taking place at two universities located on Long Island. The first, led by Lawrence Paretta and Eduardo Rivera, focuses on a successful collaboration between the English Dept. and the Library at LIU Post. The presentation will focus on the history of the collaboration, the type of instruction provided and in what ways the partnership benefits the students as well as the academic units involved. Assessment methods and results are also described in detail. The second program will be led by Danielle Apfelbaum and will discuss the collaboration between the Library and Career Services department at NYIT. Her presentation will illustrate a systematic but flexible approach for developing valuable programming for a variety of campus stakeholders, and discuss how these experiences and tools can inform collaborative program development for other types of libraries.